ATLANTA, GEORGIA—A historic landmark hotel with quite an Atlanta history has been sold with plans for extensive affordable senior housing redevelopment. 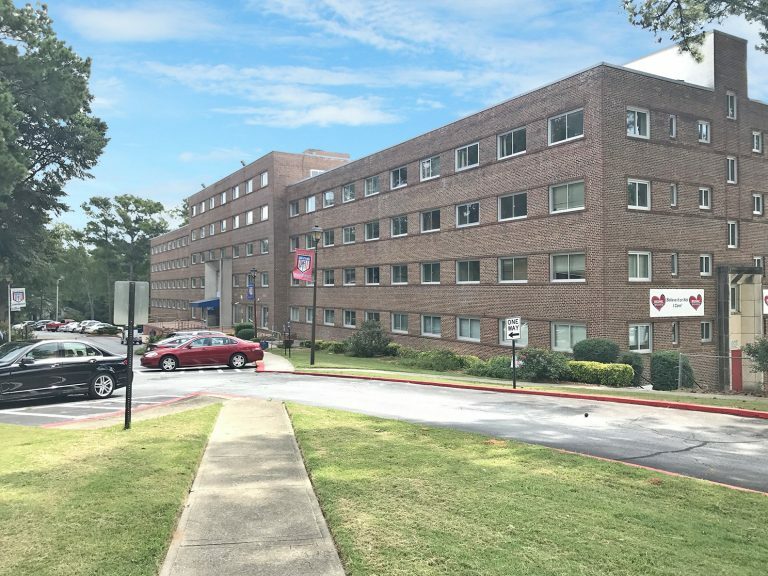 The former Atlanta Job Corp headquarters building in Atlanta’s West End was sold in late November to developer New Columbia Residential and Quest Community Development Organization. Daniel Latshaw, Partner with Atlanta based brokerage firm Bull Realty, marketed and sold the property. “We are pleased this historic property will be restored to its former glory instead of being torn down or run down. This will bring additional life to the revitalizing West End neighborhood,” added Latshaw. The property was developed by Walter H. (Chief) Aiken as the Waluhaje Hotel Apartment building in 1951 where it welcomed entertainers such as Duke Ellington, Dizzy Gillespie, Ray Charles and James Brown in its ground floor night club. The name, Waluhaje Hotel, came from combining the first two letters of the names of Mr. Aikens and his wife Lucy, and two of her siblings. Hazel and Jefferson in 1951. The property later became home to the Atlanta Job Corps headquarters in 1969. Due to failed inspections the Atlanta Job Corps vacated the building in November 2017. “Affordable housing including affordable senior housing is both a need and an opportunity. It’s exciting to see historically significant structures like this brought back to life,” says Michael Bull, CEO Bull Realty.